Research has shown that most children will experience nightmares, usually for the first time between the ages of 3-6 years old. Child nightmares can occur from recognizable bits of the day’s experiences that have turned into something that is very scary. Reading scary books or watching a scary movie just before bed can trigger a series of child nightmares. Unfortunately nightmares are not always preventable, but reassurance and comfort will always help restore your child’s sense that they are safe. 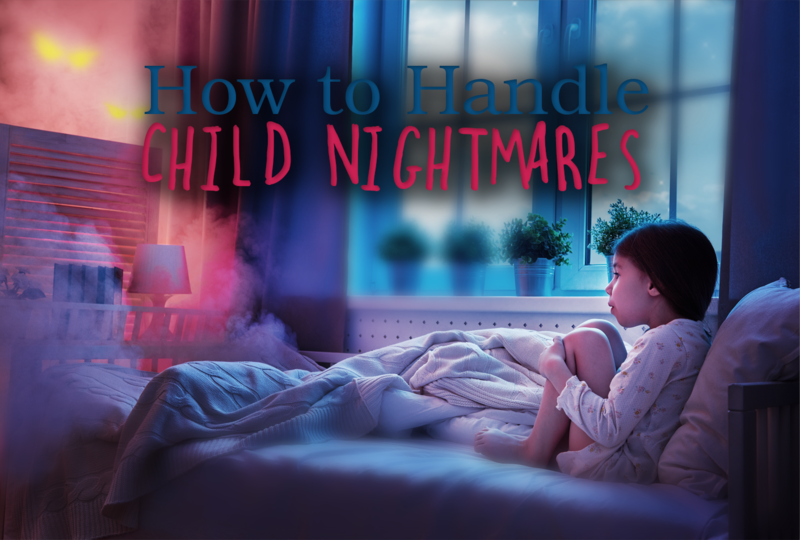 Taking cues from our own parenting life as well as the National Sleep Foundation, we’ve outlined some basic tenants on how to handle child nightmares. Listen and Understand: Don’t make fun of your child and dismiss their fears. Listen to what they have to say and reassure them that they are safe. Security Object: Properly introduce the idea of a security object to your child This can be a special blanket, stuffed animal, flashlight or even a picture. This may help your child feel safe and more relaxed at bedtime. Nightlight: A soft stream of light may help your child feel more secure without interrupting their sleep. Bedtime Routines and Rituals: Make sure your child stays on a sleeping schedule. Keep it light and happy at bedtime. Positive thoughts yield happy dreams. Read books that are happy and positive. Talk about all the fun things that are planned for the next day. Leave your babies with visions of good things dancing in their heads. Avoid Scary Movies and Books: Be aware of what your children are watching on TV, what kind of games they are playing, and what other children are telling them. The more you can limit their exposure to overly scary images and ideas, the less likely their developing imaginations will replay these scenes during sleep. Your Child Should Stay in Bed: This might be a hard, but necessary. If you have to stay in the room with your child until they fall asleep make sure you do not do this two nights in a row. If your child comes into your bedroom, walk them back into their room and reassure them that they are safe. Tuck them into the bed and wish them sweet dreams. Playful Monster Acknowledgment: Using playful actions or items such as “monster spray” acknowledge the existence of your child’s fears. They can also create superstitions in impressionable young minds. However, for some children it may be just the right fix at the right age. They may be enjoying the last few moments with you as a parent having fun as opposed to really being scared. You know your child best. You decide. Extra Kiss: Give your child a tissue with an extra kiss or something that belongs to you for them to hold. Once again, reassure them that monsters are not real, that they are make-believe, that you are always there for them, and they never have to worry. Draw a Picture: Some parents encourage their child to draw pictures of their nightmare and ceremonially throw them away. Dreamcatchers: Make a dreamcatcher with your child. Share in the wonderful tradition and culture of Native Americans while reassuring your child about the positivity of dreams. 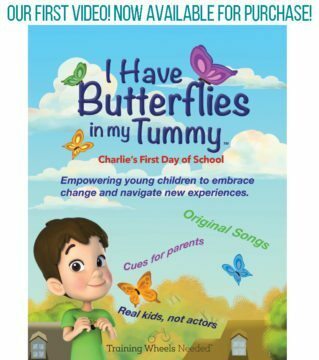 When children reach the age of 6 or 7 they begin to understand that dreams are not real. Their coping skills are much more developed and this allows them to navigate a bad dream with greater success. As parents our main job is to try avoid scary books, movies and experience that might trigger a bad dream. Our primary job is to listen and assure our children that they are safe and they don’t have to worry, that you are always there for them. How do you handle child nightmares in your family? What has worked for you?